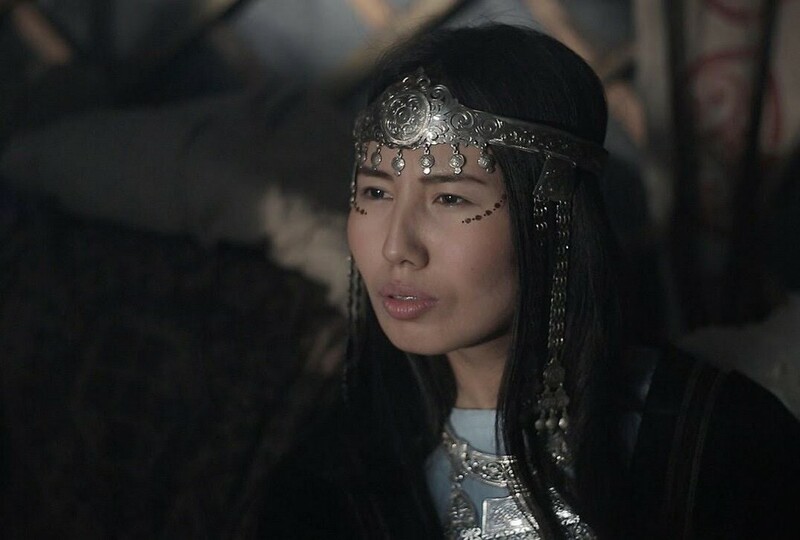 If you thought that the ancient traditions of the Sakha people could not be reconciled with today's popular culture, you have not met Zarina Kopyrina. From her tiny village in the Sakha Republic, she has traveled to several continents, absorbing new perspectives but ever guided by an unfailing passion for her ancestors' spiritual beliefs. 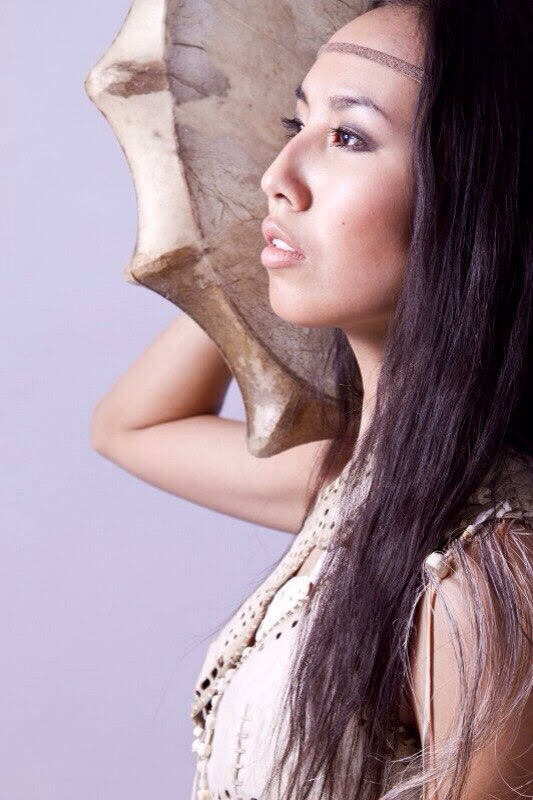 Thus she has created a unique harmony between the old and the new, from the traditional deerskin tambourines and mouth harps to the latest in electronic drums and special effects. Drawing from her kaleidoscope of interactions, she blends those that speak to her to create a voice in the world that is truly her own. For one so young, Zarina has had extensive travel opportunities, from Africa to Argentina for shaman performances, from Warsaw to Miami for appearances on Russian reality TV shows “X-Factor” and “American Fiancé.” In another venture, she spent three years performing in France, at the invitation of La Maison Européenne d'Imagination. Her fascination with travel began with Austria. A trip to Vienna as a prize for winning a beauty and talent pageant first opened her eyes to a completely different ways of life. “It was the first time I saw how other people live, and after that, I was crazy about traveling.” During university, she participated in a six-month internship in Finland to study the Saami culture. There, playing with a Saami shaman inspired her to take up a drum of her own people, a Sakha traditional drum. Playing an instrument so closely tied to the powerful Shamans carries a daunting amount of responsibility. “At first I was scared to play,” Zarina said. “It's really sacral. To be a shaman – it's not work; it's a way of living. It's a mission.” A true shaman, in her view, is someone with a finger on the pulse of nature, living in the forest, possessing supernatural abilities such as hypnosis, healing and the ability to fall into trances. The title of shaman is not for her to claim, she said with assurance. Instead, she aligns herself with neoshamanism, a contemporary form of spirituality for people who live in cities, including musicians, painters, writers and more. These people don't have the full set of qualities of a shaman – yet they possess some of these aspects. “They get some signals from the universe, and they transfer information through themselves,” she explained. Through all of her experiences, she has discovered more and more about the road she aims to follow. There have turning points on her path, for example, realizing that she no longer aspires to a high-pressure job in international relations. After her decision to become an artist, another learning experience was her year and a half in Warsaw during which she worked with a producer on modern music. “My inner voice told me: it's not yours,” she said. Now living in the dynamic city of Moscow, she supports herself with her entrepreneurial skills, well-honed from her university days of running a laundromat out of her dorm and later distributing sandwiches to supermarkets. She runs hostels, but that still leaves her plenty of time to focus on her singing. For the past six months, she has been working on her second album with Andreas Jones, a talented drummer and composer from Sochi. 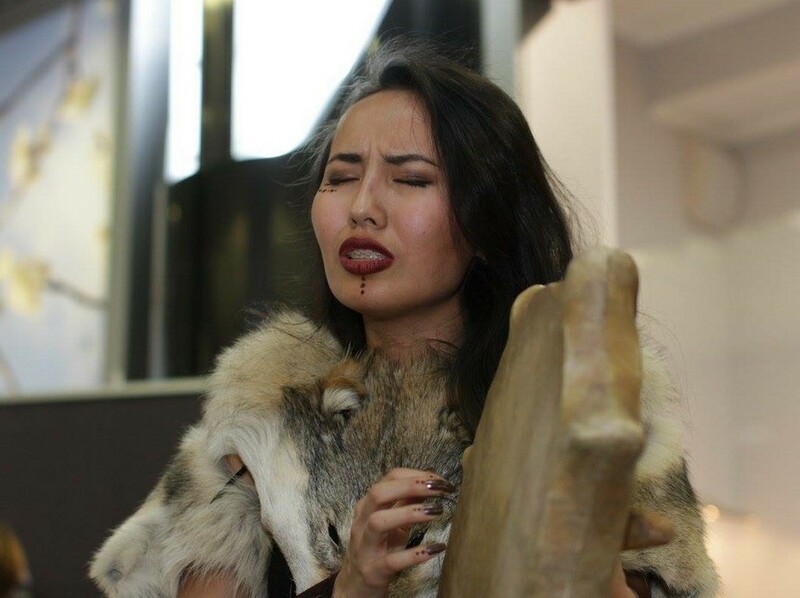 Aiming to reach their goal of interaction between traditional and modern styles, they are preparing a unique program with electric drums, laser lights, meditation – and themes at the heart of the Sakha people. Kopyrina knows she can connect with modern youth. “Electronic music is very adaptive to young people,” she said. In this way, she will use the stage to bring attention to the issues facing her people. Describing her album as “god-whispers,” she explained that each of the nine gods in the Upper World has a mission. “They will tell, through me, about actual problems, globalization problems.” Take, for example, the god Djehegei, responsible for cattle. Zarina will use this track to raise concern about the care of domestic animals. 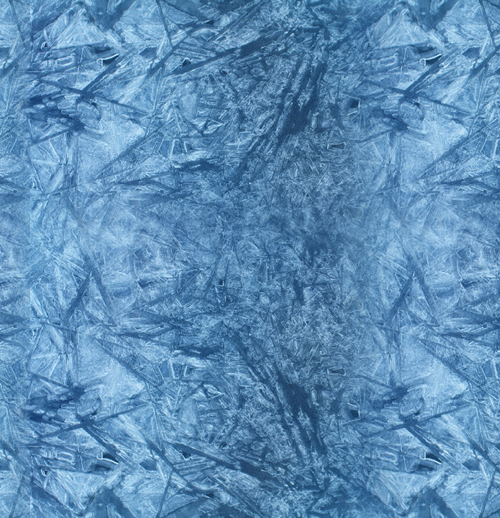 The future – the realm of Bilge Khaan – is another topic wide open with possibilities. The goddess Ajyyhyt concerns herself with demography, allowing Kopyrina to express the interconnectedness of the planet's population. Aan Alakhchyn Khotun, the spirit of nature, is the perfect platform for the pressing ecological issues facing the Arctic and indeed the planet, including climate change, the struggle for resources, and environmental dis-balance.